The Hailakandi district administration on Sunday extended ex-gratia to the next of kin of the four deceased persons who died in a boat capsize and drowning. 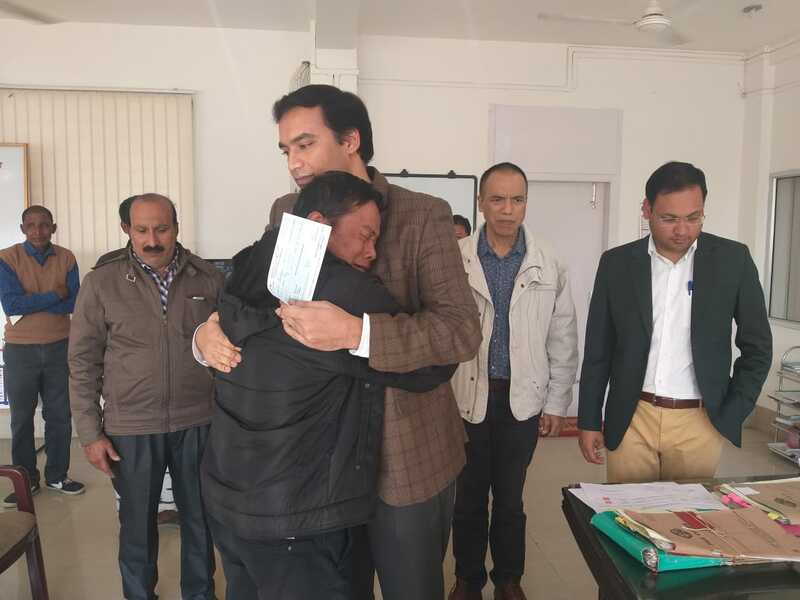 Deputy Commissioner Adil Khan gave away the cheques for Rs two lakh each to the next of kin of deceased persons viz, Sumit Pashi and Ajoy Pashi, sons of Megnath Pashi, who died in a boat capsized accident. Khan also distributed ex-gratia cheques from the Prime Minister’s National Relief Fund to the family members of the deceased viz, Rahul Hussain Tapadar, son of Potol Uddin Tapadar and Muthoi Singha, son of Ibungomacha Singha, who died due to drowning in last year’s flood. Consoling the next of kin of the victims, Deputy Commissioner Khan said, “Though we cannot bring back the deceased, as life and death are in the hands of the Almighty, we can only ensure that the bereaved families get their entitlements as per rules, on time.